This is an easy tart from Bryan Webb, similar to a traditional bakewell tart but not as rich. 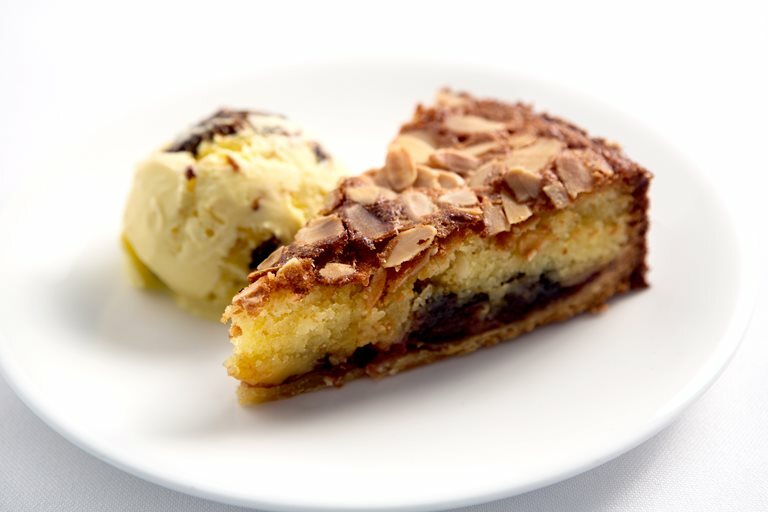 The luscious prunes in the base are complemented by a side scoop of intensely flavoured prune and Armagnac ice cream, adding a French flourish (note the reliable formula requiring equal volumes of cream, milk and sugar). To make the best almond filling for the tart, buy good quality nuts such as blanched Marcona almonds from Spain and grind them yourself.